Will the tax exclusions on employer-provided health insurance be used to pay for tax cuts? Next week, the White House is expected to release the first details on what tax reform will look like and how it will be paid for. 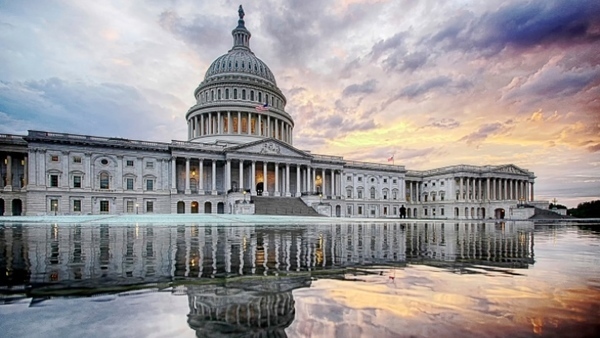 Lawmakers are reportedly targeting several exemptions in the existing tax code to offset lower individual and corporate tax rates. Those tax cuts are expected to cost up to $2 trillion. Eliminating the deductibility of state and local taxes, capping deductions on mortgage interest, and limiting pre-tax contributions to workplace retirement plans are among the revenue sources being considered to pay for lower rates. But to date, the treatment of employer-provided health care benefits has been conspicuously absent from public conversations on tax reform. According to U.S. Census data, roughly 178 million private sector workers and their families get health care insurance through the employer market. Workplace plans cover more Americans than any other segment of the private or public insurance market. Premiums are of course excluded from payroll and income taxes. That comes with a hefty price tag. According to new numbers from the Congressional Budget Office, foregone revenue on health care benefits will cost the U.S. Treasury $3.9 trillion between 2018 and 2027– by far the largest expenditure in the tax code. “It’s a really big pot of money,” said Katie Spangler, senior vice president of health policy at the American Benefits Council, which advocates for large sponsors of employee benefits plans. Which is precisely why Spangler and others are uneasy over the future of group policies ahead of the reform debate. Tax breaks on group market have been under scrutiny for years. Most recently, Congressional Republicans targeted the exclusions to pay for replacing the Affordable Care Act. Last spring, a leaked discussion draft of proposed legislation included a tax on the 90th percentile of employer-provided benefits. That provision was promptly scrubbed from Republicans’ reform efforts, thanks in no small part to the aggressive front that ABC and other benefits advocates waged on Capitol Hill. Joel Wood, senior vice president for government affairs at the Council of Insurance Agents and Brokers, said the CIAB “raised hell” in the weeks after the discussion draft was leaked. But this time around, the implications of tax reform on employer benefits are different, largely because of Republicans’ failure to make good on years of promises to repeal and replace Obamacare, which has intensified pressure to deliver on tax reform, thinks Wood. Few policy experts doubt that tax reform will be a heavy lift. Congress will first have to pass a budget resolution, which will in part determine the cost of reform. Lawmakers will then have to determine whether to pursue full reform of the code or simply cut rates and whether they intend to pay for reform or cuts—all big “ifs” in Woods’ mind. But he breaks from the consensus of policy experts who doubt reform can be pushed through on the White House’s aggressive timetable. Treasury Secretary Steven Mnuchin has pledged to push a bill through by the end of the year. “Republican leaders believe there is an existential political threat to the party if they don’t get tax reform done,” said Wood. That reality has benefits advocates on high alert. “With tax reform, if you are not at the table you are on the menu—I won’t breathe easy until the process plays out,” added Wood. Notwithstanding his unease, Wood says he has real hope that the tax preferences for both employers and individuals will survive the reform process. Last August, Wood and other benefits advocates met with House Speaker Paul Ryan, R-WI. Ryan told the group that the option of tapping the exclusions has already been litigated under health care reform efforts, according to Wood’s account. The tax preferences on the employer market have critics among the most prominent Republican lawmakers. Speaker Ryan has advanced proposals that would scale back the exemption. So have Rep. Kevin Brady, R-TX, and Sen. Orin Hatch, R-UT, both of whom chair the committees that will oversee reform in their respective chambers. When he was in Congress, Secretary of Health and Human Services Tom Price proposed capping the exclusion at $8,000 for individual premiums and $20,000 for family premiums. The ABC’s Spangler said Price’s numbers were used to argue that the caps would amount to a tax increase on the middle class. “The Price model would equate to a 23 percent tax increase on families making between $20,000 and $30,000, and a 10 percent increase on families making less than $100,000,” said Spangler, citing data from Mercer. The White House has proposed doubling the standard deduction for middle-class wage earners. Spangler says that may not be enough to cover new taxes on premiums. “I don’t see how that would offset a tax on health policies,” said Spangler, who was a senior staffer on the Senate Committee on Health, Education, Labor and Pensions from 2005 to 2012. “And I don’t see how they can lower rates enough to neutralize new taxes on health benefits,” she added. Spangler doesn’t expect next week’s proposal from the White House will include new caps on employer plans. But her experience writing legislation on the HELP Committee leaves her fearing that lawmakers will tap health benefits at the eleventh hour to push a bill through. Whether or not new taxes on group plans would drive employers out of the market is an unknown that lawmakers will have to balance. Paul Fronstin, director of health research at the Employee Benefits Research Institute, says he has put the question to employers in blunt terms: If the benefit is taxed, why do you care? If participants’ benefits are taxed, they may potentially ask for wage increases to cover the cost. In a tight labor market, employers may be forced to oblige. “A lot of what employers do is a function of the labor market. With unemployment at 4 percent, it would be easier for a lot of workers to ask for a raise,” said Fronstin. The ABC’s Spangler said she has raised the potential impact on the group market with the CBO. She too has put the question directly to employers: Would capping the exclusion on group policies affect the decision to offer coverage? “Some members have said they will reconsider whether or not to offer benefits if the tax treatment is changed,” said Spangler.